Thursday, 20 November 2014—Kingston, Jamaica. 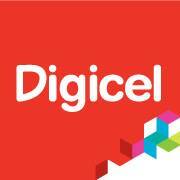 Digicel welcomes the confirmation by the Eastern Caribbean Telecommunications Regulatory Authority (ECTEL) that the proposed merger between Cable and Wireless Communications (CWC) and Columbus Communications Inc. (Columbus) is a matter of significant public interest for the region deserving of rigourous regulatory attention and diligent review. In a statement, ECTEL announced its ‘deep concern’ in relation to the proposed transaction and the fact that the proposed merger could ‘potentially result in a negative impact on competition’ by ‘reducing choice for consumers of both services and service providers’. ECTEL further noted that ‘increased monopolisation can erode the gains made by liberalisation’. ECTEL went on to state that the proposed merger raises significant issues in terms of potential breaches of licences by both CWC and Columbus which must be investigated thoroughly. In announcements to the financial markets, CWC and Columbus stated that regulatory notifications and approvals would only be required in the United States, Barbados, Jamaica and Trinidad. Digicel regards these dismissive statements as constituting an insult to the regulatory authorities and governments of the ECTEL member states; and particularly those of Grenada, St Lucia and St Vincent and the Grenadines. Digicel confirms its willingness and desire to engage with ECTEL and the NTRCs in each Member State such that a proper rigorous review of the telecommunications markets and the proposed acquisition can be undertaken. It is only on foot of such a review that any worthwhile assessment of the proposed acquisition on competition and consumer welfare can be conducted properly and responsibly.